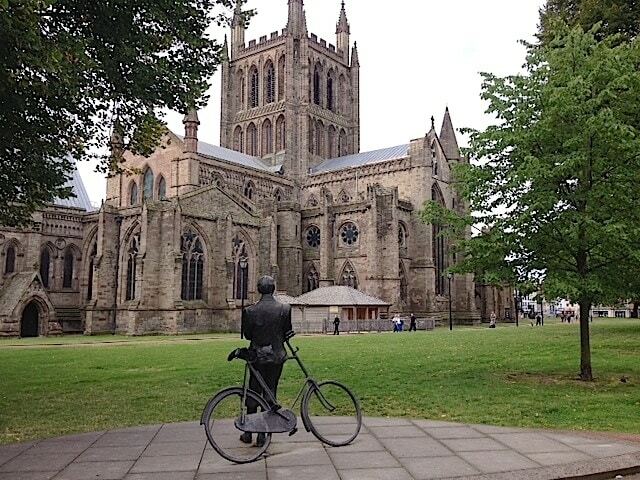 With a 7th century Saxon origin, Hereford was extensively developed by the Normans who rebuilt its famous cathedral and the castle, the latter sadly no longer standing. 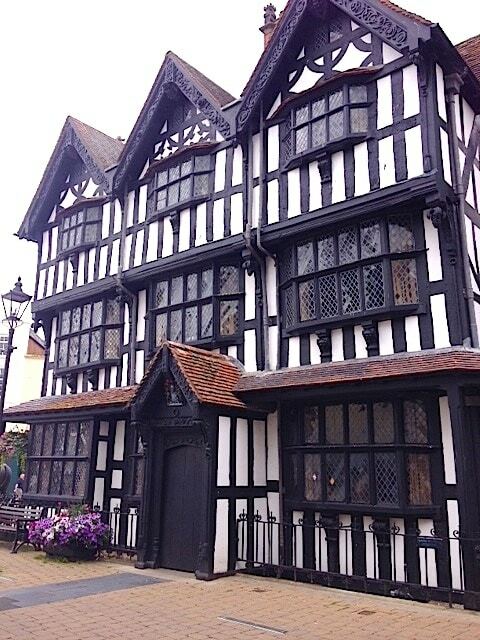 This Wales/England river crossing point (Here-Ford) still has an abundance of stunning half-timbered buildings, together with architectural marvels like The Shire Hall and Town Hall. 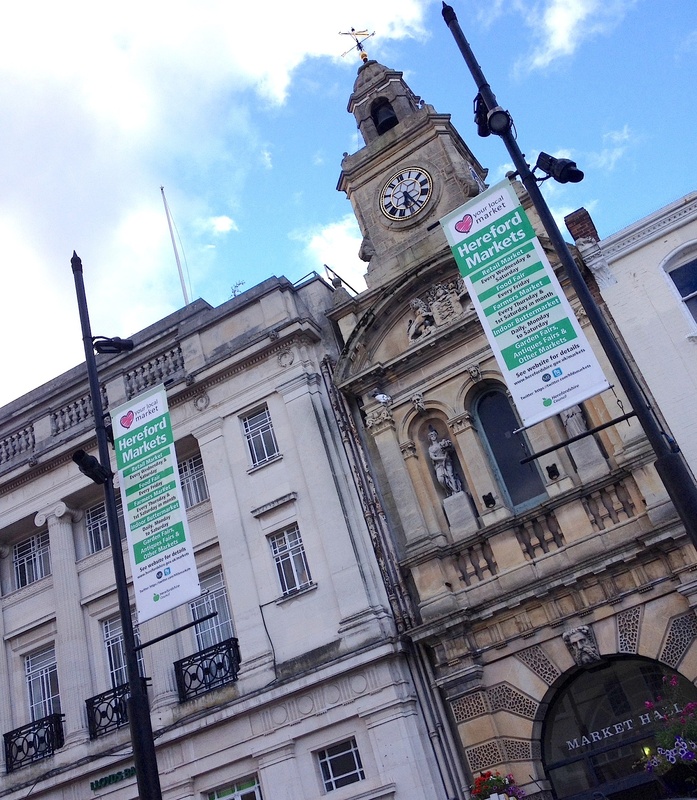 These sit alongside the modern developments of the Old Market Shopping Centre, Maylords shopping centre and the Courtyard; Herefords Centre for Arts. 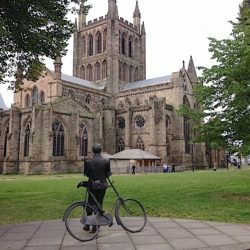 Packed with myths and legends, daily guided walks reveal the treasures of Hereford Cathedral, with summer tours of the tower and the cathedral gardens. Wonder at the Mappa Mundi, the world’s leading example of a medieval map and the Chained Library, a unique collection of 1,500 books dating back to the 8thC many with their original security chains. 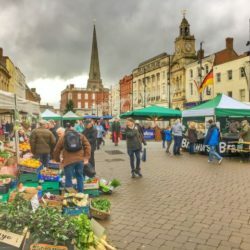 High Town, the original Norman marketplace for almost 1000 years, is still the busy retail heart, with weekly and seasonal food, craft and retail markets. 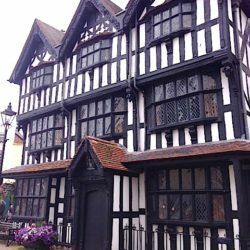 Explore the stunning Jacobean Old House now open as a museum, marvel at the tiny half-timbered former apothecary’s shop up high opposite Boots and for a taste of Victorian trading explore the Butter Market still in the heart of High Town. 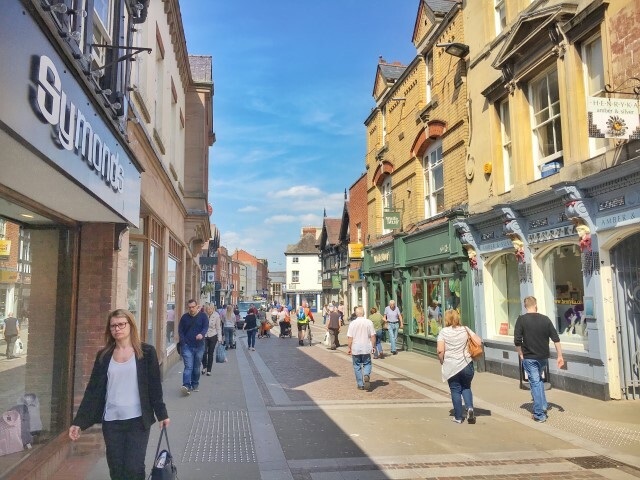 Don’t miss Hereford’s Independent Quarter centred in quaint cobbled Church Street, Saxon and once Cabbage Lane, it leads to the cathedral and, along with the little streets nearby, is home to a wide selection of small retail shops, eateries and pubs. 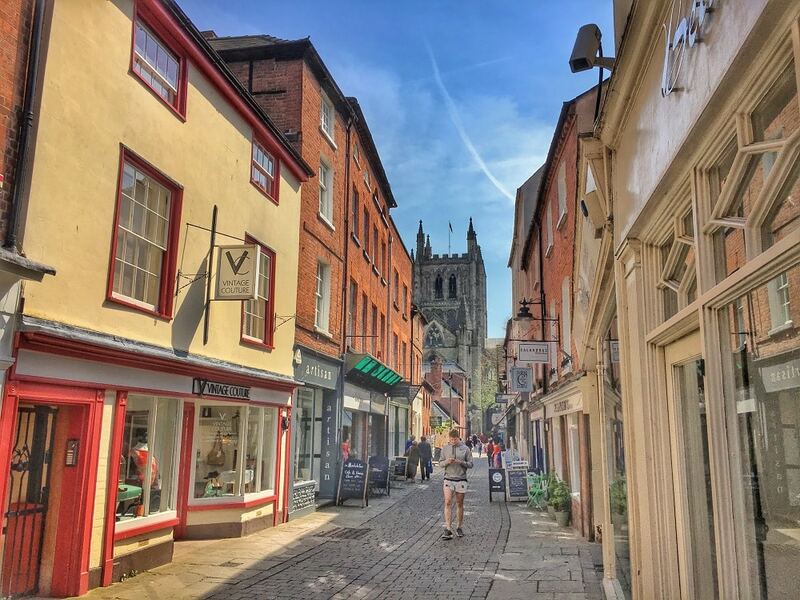 The City’s foodie culture is seeing a revolution and including the well-known national chains, also has plenty of independent casual sandwich and coffee stops, gourmet burger bars, tapas, bistros and winebars, as well as fine dining at beautiful Castle House. Learn about cider making in the Cider Museum located in the original Bulmer’s factory, once home of the world’s largest cider maker thanks to the abundant Herefordshire apple orchards. The Coningsby Hospital museum, originally a medieval home for old soldiers is said to have inspired the Royal Hospital for Chelsea Pensioners. 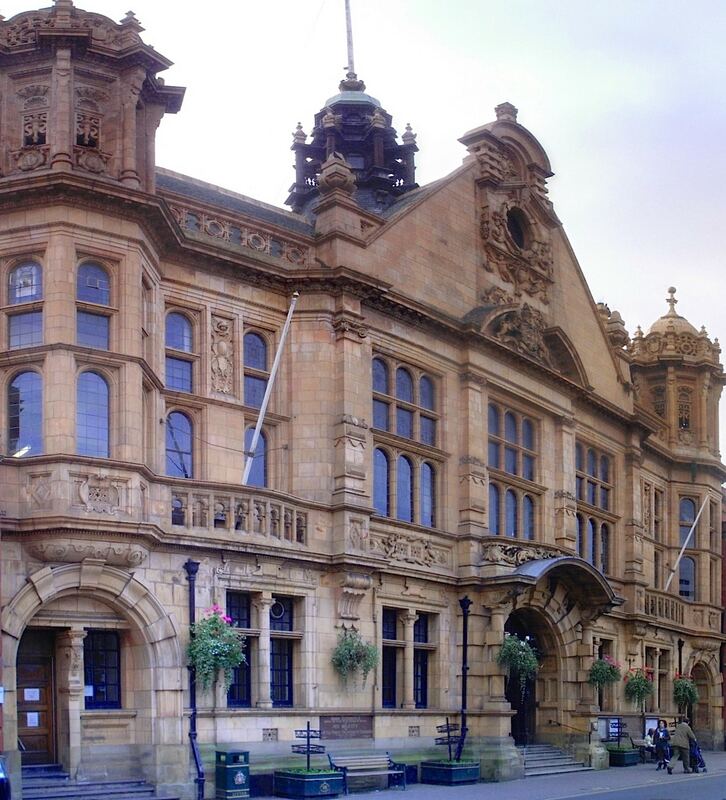 A short walk or drive will bring you to the Waterworks Museum, an engineers dream, where you will see Victorian methods of supplying water to Hereford City, especially on their regular live steam days. Hidden away next to the River Wye is Castle Green, an early example of a city park laid out in 1745 on the site of the Norman castle. Join in the regular events that pop-up or stroll on over Victoria Bridge to St George’s Playing Fields and river walk, lovely for a picnic. 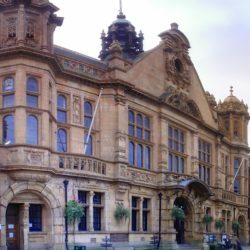 Becoming more and more popular as a film location, discover some of real places featured in Phil Rickman’s Midwinter of the Spirit book and recent TV series. 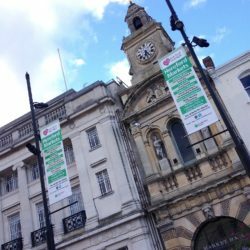 The City’s affinity with the arts will reveal composer Elgar’s legacy during his years here, marked with a bronze statue in the cathedral grounds, and the annual celebration of Europe’s oldest music festival the Three Choirs Festival. Jointly hosted by the choirs of Hereford, Worcester or Gloucester cathedrals for 300 years, Hereford Cathedral next hosts in September 2018. 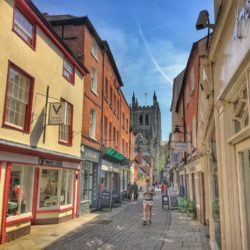 But for a real insight into the City, we highly recommend a guided walking tour with www.herefordguidedwalks.org.uk Plan your next visit, as there is so much more to see and do. The Laskett Gardens is uniquely autobiographical The Laskett Gardens is one of the largest private formal gardens to be laid out in England since 1945, the gardens form an ever evolving creation over forty years of the historian, writer and diarist Sir Roy Strong and his late wife, the designer, Julia Trevelyan Oman. Their four acres celebrate an orchestration of surprise and thrilling vistas. There are some twenty different and contrasting ‘rooms’ including a rose garden, a knot garden, an orchard, a pleached lime avenue, parterres, herbaceous borders and the Colonnade Court. New additions for 2018 are two stunning mosaics in the orchard and a Belvedere tower from which to view the garden on high – not to be missed. This garden is a unique portrait of its makers, with the story of their marriage and their extraordinary lives woven into its very fabric. Open for groups exclusively Tuesdays and Thursdays (Pre-booking required). 10:30am and 2:30pm 1 may – 27 September 2018 Non-groups welcome Wednesdays, please call ahead. Contact Fiona Fyshe to book 07989 338217 or email info@thelaskettgardens.co.uk £12 per person inc detailed souvenir map and audio guide. Gift shop (no tearoom, own refreshments/picnics welcome). Unique jewellery shop in Church street, Hereford. John Mckellar’s offers a wide range of designer and handmade platinum, silver and gold jewellery as well as servicing bespoke designs personalised to suit your occasion. John McKellar is an award winning designer who has exhibited his custom designs in the UK and abroad. He is a past chairman of the Designer Jewellers Group and as a member of the National Association of Goldsmiths, you can be sure to receive only quality contemporary pieces from such a skilled craftsman. 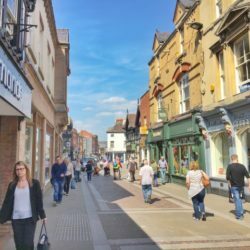 Offering repairs and valuations on site too and if you want your gemstones evaluated, then pop along to the shop in the heart of Hereford City Centre. thepoint4 is Hereford’s leading leisure club Boasting fully accessible facilities at thePoint4 including a 60 station gym, access to personal training, a wide variety of exercise classes for all abilities and a large sports hall and Astro pitch. Unwind in our spa suite or rehabilitate in our hydrotherapy pool. Offering a fully inclusive ethos the leisure club is open to Members and non-Members. There are a range of membership packages, there is no joining fee, no long-term contract and free car parking with dedicated accessible bays near to the front entrance. thePoint4 has vast experience in hosting national and international residential sports events and is also frequently booked by choirs and music groups. 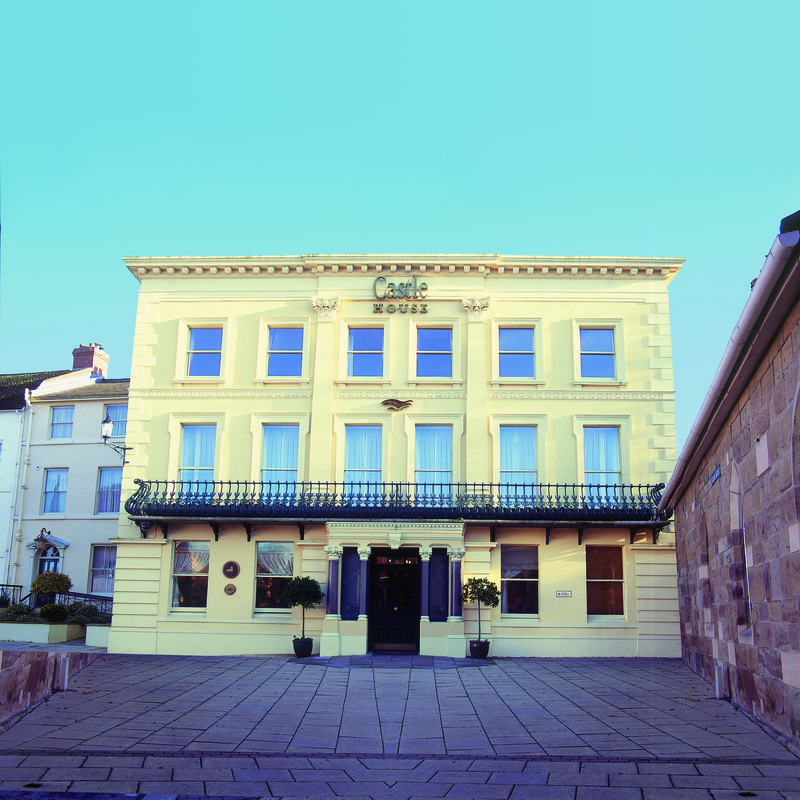 Packages, including accommodation, meeting rooms and catering requirements, are all tailored to customer specifications. We actively welcome visits by prospective clients. Please contact the friendly, knowledgeable staff to discuss your requirements. 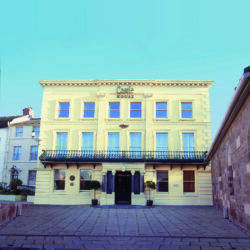 thePoint4 is part of the Royal National College for the Blind and all income generated helps support education and training for students with visual impairment. Learn more. 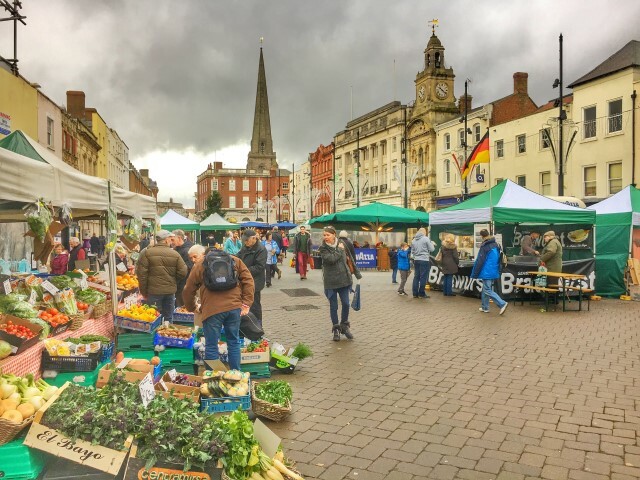 Philip Morris & Son is the Country Living store in the heart of Hereford City Philip Morris & Son is one of the many hidden gems that have been dwelling in the heart of Herefordshire since the 1800’s and continues to be a family run business. Having begun as an ironmongers in 1845, from its historic and characterful premises, it’s now one of those wonderful expanding destinations that sells everything from quality kitchen, table and cookware, linen and home items, garden furniture, equipment and tools, country clothing and footwear, not to mention its famous gunroom. You’ll find brands like Denby, Le Creuset and Brabantia, with Barbour, Musto, Le Chameau and Joules, giving you the security that you will be purchasing quality as well as style. Welcome to one of Hereford City’s flagship independent stores.